Located in the heart of the Cape Floral Kingdom, with breath-taking coastal views of the Atlantic Ocean, Grootbos Private Nature Reserve offers an unforgettable African adventure experience. Although the view is spectacular, there is something significantly more special about the reserve. Grootbos was recently awarded the prestigious title of the ‘Best for Accommodation’ at the WTM Responsible Tourism Awards, acknowledging Grootbos as a global leader in eco-tourism. The award is just a single of the many demonstrations revealing how Grootbos plays a vital role in the sustainability and conservation of the local biodiversity and natural resources. The reserve is a true icon for sustainable tourism. Their approach to sustainable tourism is one of integrity and authenticity. Founded as a family business, and now run by Michael Lutzeyer, Grootbos Private Nature Reserve is a luxury eco-reserve surrounded by mountains, forest and sea. The reserve operates on a strong foundation of passionate, knowledgeable and friendly staff who are committed to sustaining the natural beauty and life of the reserve. Today, the reserve preserves 2500 hectares of diversity with over 765 species of indigenous plants. The reserve is also committed to the transformation of the community, whilst offering progressive luxury tourism. Grootbos is dedicated to the conservation of the floral region and providing sustainable, nature-based livelihoods for local communities. They believe that the only way forward is through innovative and all-inclusive practices. 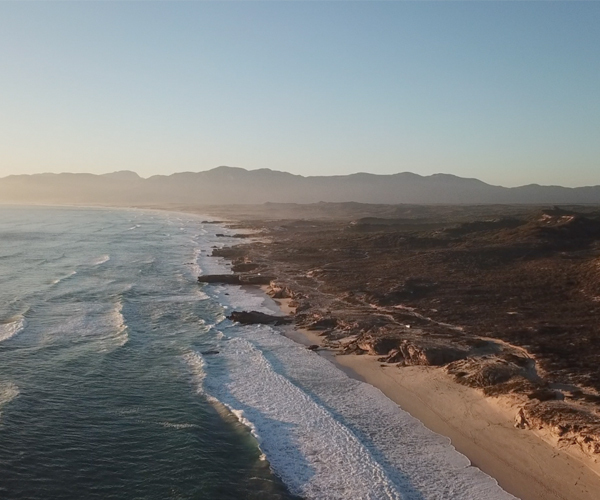 Together with their non-profit organisation, Grootbos Foundation, the reserve works passionately to propel leading conservation practices and build and uplift the wellbeing of the local communities. There are six floral kingdoms in the world. Although the Cape Floral Kingdom is the smallest, it is the most botanically diverse. 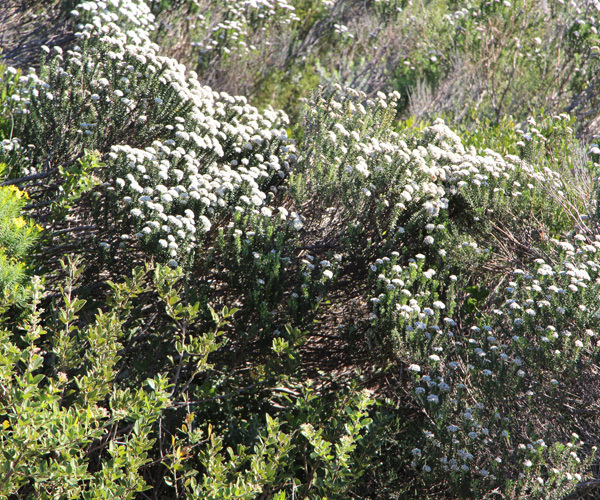 With rich fynbos shrubland making up 80% of the area, the reserve’s landscape is made up of many intricate mechanisms that contribute a vital role to the complex and highly connected ecosystem. Birds, insects and fire all play a vital role in maintaining this spectacular kingdom of biodiversity. Grootbos is not only home to this sensational habitat but has also contributed hugely to its conservation and preservation. Over 21 years of continuous research, Grootbos has discovered six completely new specifies to science. Four of which can only be found within the borders of the reserve. The natural development conservation departments at the reserve make every effort to help the region grow naturally to its full potential. Over 21 years of continuous research, Grootbos has discovered six completely new specifies to science, four of which can only be found within the borders of the reserve. Over the years, Grootbos has been presented with countless awards that bear testament to their heart-filled approach towards conservation and transformative empowerment in their local community. Their impact is multi-faceted. They have a deeply founded focus on conserving and protecting the natural environment, as well as investing in the lives of the community. In the past year alone, the Grootbos Foundation has reached more than 7000 beneficiaries from across seven communities and 16 local schools. Their countless awards speak volumes of their influence and successes. For example, Grootbos’s Masakhane Community Farm, a community hub that prioritises food security, training and household sustainability, was awarded the We Are Africa Travel’s Engage Africa Award for 2018. This highlights how Grootbos collaborates with the local community in order to support, train and transform the population. This is just one of many projects with a focus on the community. The Grootbos Foundation Football Foundation, Early Learning Centres and various career, employability and entrepreneurship programmes make a huge difference in the lives of the locals by contributing resources, education and opportunities. Guests who stay at Grootbos leave with a wealth of knowledge in addition to a memorable experience. Through various activities, incredible insight and information is shared on the history, heritage and behaviour of life forms both past and present. 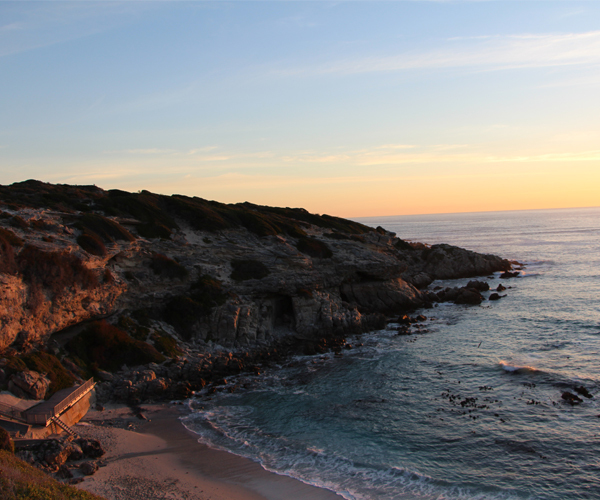 These activities include a visit to Klipgat cave, sunset at De Kelders, the flower safari and horseback ride. Every effort for sustainability is made – right down to the finest detail. Single use plastic throughout the lodge is reduced by making use of alternative products. Grootbos has committed to be single use plastic free by 2020. All Grootbos lodge organic kitchen waste is fed to the Grootbos Foundation Growing the Future’s farm pigs. Drinking water is bottled on site and all candles are recycled in an effort for environmental sustainability and creating employment. These are just small examples of sustainable practices that contribute greatly to conservation of the environment. Key to the growth of sustainable tourism is an increased awareness of the approach to tourism as a preferred option for leisure amongst consumers. As a result of this growing traction, sustainable tourism has increased in demand. The Grootbos reserve and foundation have developed a positive name as industry leaders, and the many visitors to the reserve ask how they can get involved in their endeavours. The encouraging truth is that by merely choosing to stay at Grootbos, a guest directly supports the reserve’s powerful initiatives and projects through the conservation levy and their drinks purchases. Grootbos offers a unique experience with nature, by magnifying the subtle nuances of birding, learning about the flowers, whale watching, diving with Great White sharks, and a variety of other outdoor activities. This entire experience is cushioned with exquisite cuisine and luxurious accommodation, refuelling the body after a full day of exploring. The luxury eco-reserve truly is ahead of its time, paving the way for sustainable tourism, and setting a brilliant example for other luxury accommodation venues to do the same.